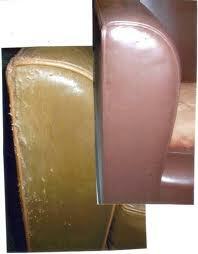 Leather Repair: Stain removal, color matching, refurbishing and more! “Leather is repairable” was and is our first selling point. 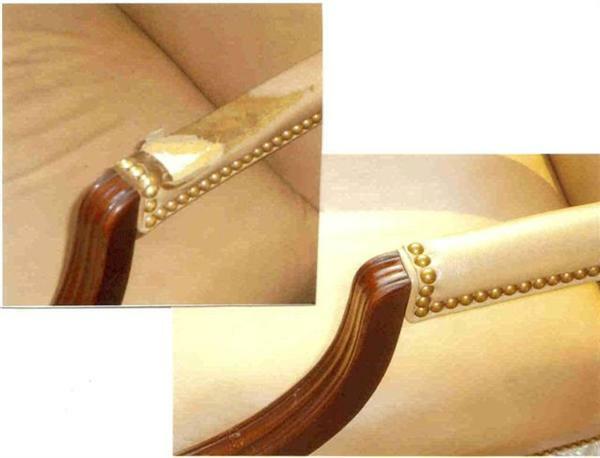 Most service companies today can sew a seam closed or even repair a scrape or scratch in leather. The propblem comes in when they try to match the color. Another problem is fixing a cut through the leather or a hole(puncture) and then make the repair disappear to the casual eye by matching the color. Repair compounds that will not shrink or fail during the life of the leather and the expertise to match color are the hallmarks of our repair services. We custom match the color in the home so that our repairs will always look feel like the rest of the leather. The Leather Solution & Total Leather Care Companies have the exclusive use of these repair compounds and color matching techniques. We make all of our own colors and clear coatings with an assortment of sheen and feel to match all the different leather finishes that are on the market today. We have done so since the early 1980’s. Our name for quality service is well known in the furniture industry. Thank you for the excellent services you rendered yesyerday at our showroom where we accidently damaged two sectionals in re-arranging our showroom. Besides the fast and courteous service we received, the pieces were repaired as if you people were magicians. I also want you to know that 99% of the customers you serviced for us have been completely satisfied. I think that is something you should be proud of. S.E Owner Furniture Showrooms. 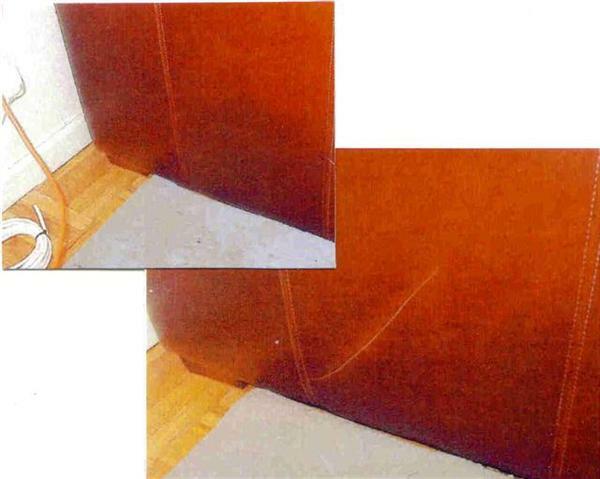 Thanks for the terrific job on our(oil stained)dining room chair! I couldn’t be happier. ML NYC. Thank you! Have a brand new leather walletI am infatuated withand gotfood oil on it, corn starch trick got it all outcompletely, so thanks very much for the tip.S.B. Alexandria Va.